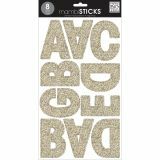 Large Alphabet Stickers - ME & MY BIG IDEAS-Mambi Sticks Stickers. 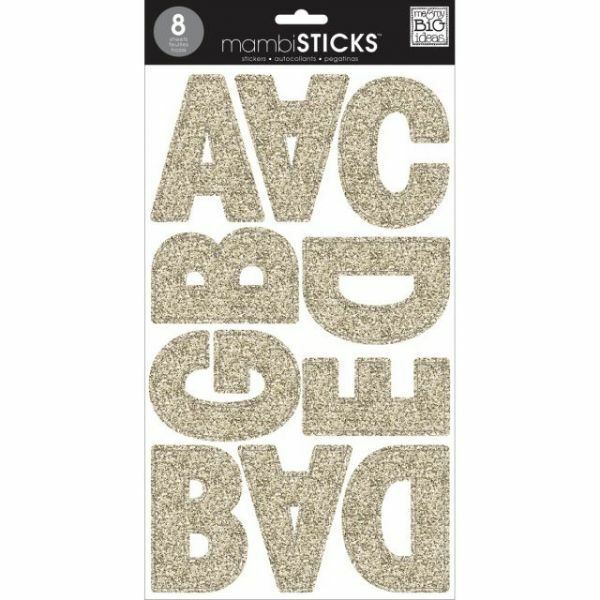 These large alphabet stickers are easy to use and will add an extra glittery touch to any event. This package contains eight 7x12 inch sheets of letter and number stickers. Design: Gold Glitter. Imported.